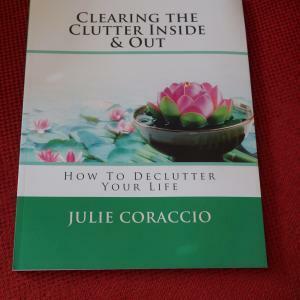 I named my podcast Clearing the Clutter Inside & Out because I found when working with clients when you cleared clutter on the outside it also affected you internal clutter and vice versa. Whether you work from home, or a busy stay at home mom, clearing clutter in all areas of your life can support you in creating the life you desire. When you complete this course, you will have created a strong foundation for personal growth and releasing clutter. You will be armed with a maintenance plan to keep building upon your skills. Learned how to focus on clear priorities and reduced physical clutter. Created a regular mindfulness practice; learned skills to cope with procrastination and avoidance; discovered how to live in the present moment and be more aware of your thoughts. Cultivated self-kindness lessened the need to control everything and created healthy relationships. Completed a life inventory, developed a gratitude practice and begun a consistent spiritual practice. Assessed and cleared energetic clutter from your space.